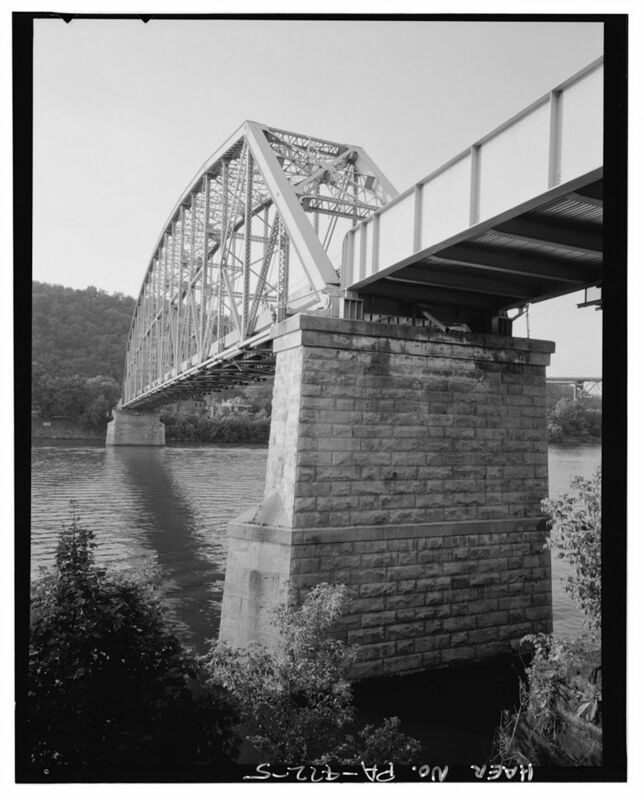 The Brownsville Bridge is a Pennsylvania (Petit) truss bridge that carries PA 4025 over the Monongahela River between Brownsville and West Brownsville, Pennsylvania. It formerly had the designation of US 40, the National Road. 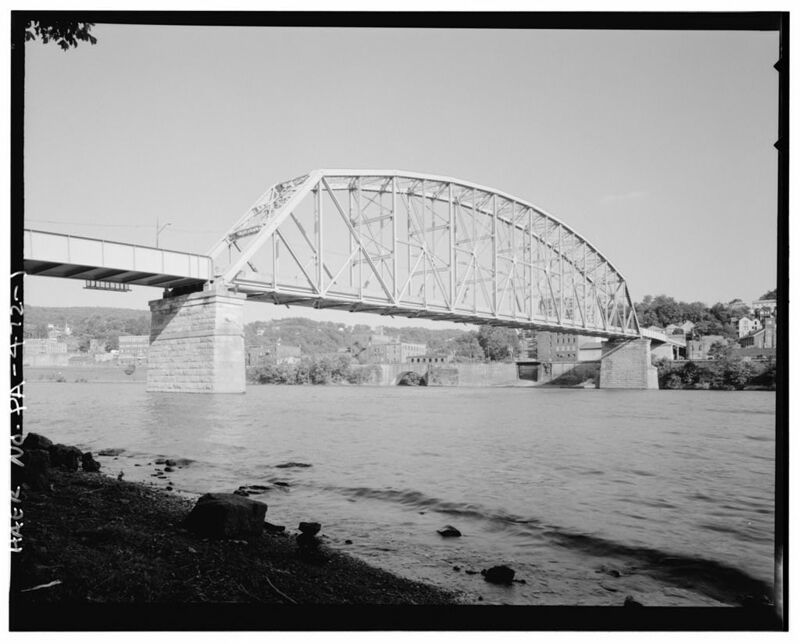 The National Road was the first major road in the United States to be built with federal funds, and was constructed between 1811 and 1818 between Cumberland, Maryland and Wheeling, Virginia.2 Initially, travelers who reached the Monongahela River had to board ferries to cross the wide waterway. The first crossing in the area was constructed when the city pushed material from nearby hillsides into Dunlap’s Creek to form a causeway.2 The causeway became Market Street and was later part of the National Road. The causeway was replaced by a wooden bridge shortly after, and in 1832, the U.S. Army Corps of Engineers built an iron truss over the creek. 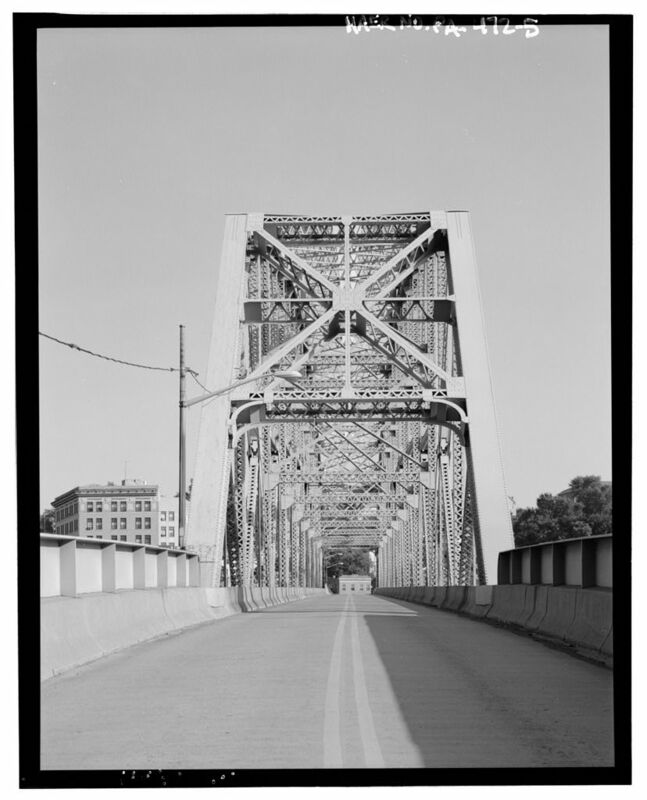 Traffic on the covered span declined in the early 20th century due to competition from adjoining railroads.2 Additionally, the U.S. Army Corps of Engineers determined that its vertical clearance from the river did not meet new requirements passed by an act of Congress on March 23, 1906. 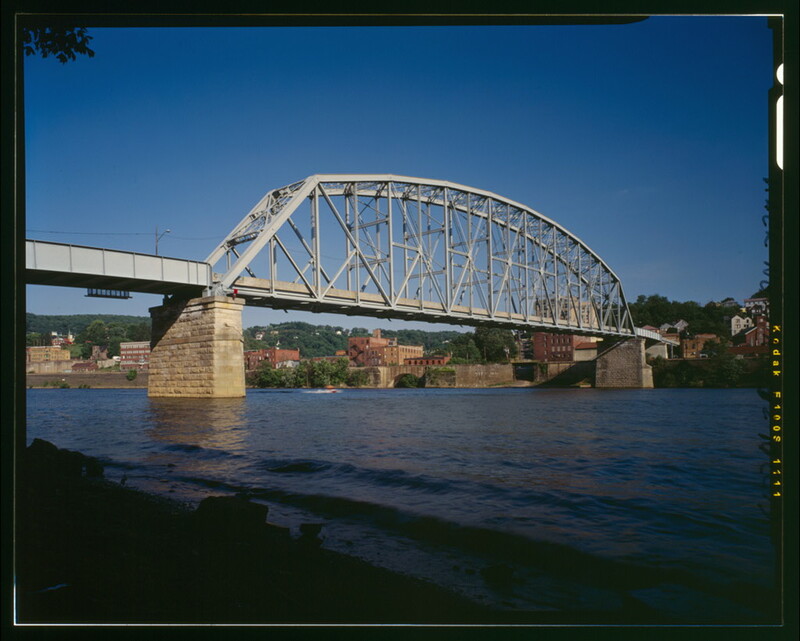 The Monongahela Bridge Company offered the wooden bridge to the city, but it was eventually purchased by the Monongahela Railway Company.2 It tore the crossing down in 1910 in compliance with an order passed down by the U.S. Secretary of War. 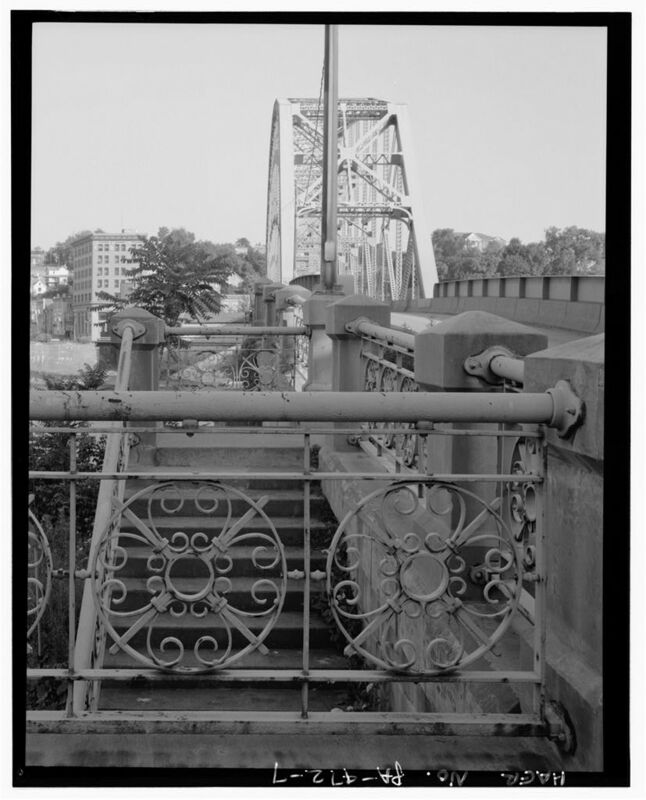 A three-cent tolled ferry replaced the bridge in the meantime. 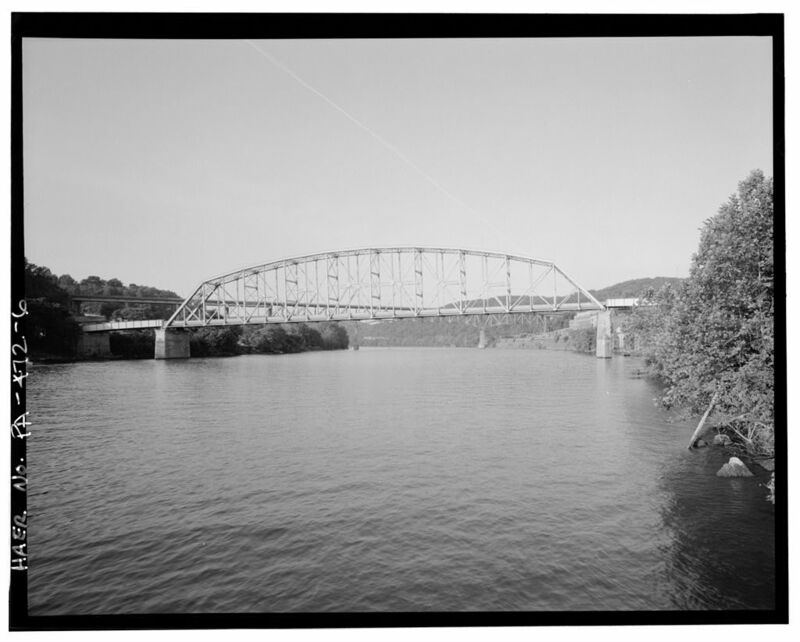 On April 23, 1906, an act of Congress authorized the Fayette Bridge Company to construct a bridge over the Monongahela River at the same location, with the requirement that the crossing be completed by April 23, 1910.2 The U.S. House of Representatives reserved the right to nullify the act unless construction began by April 23, 1907, however with no progress on the bridge by June 25, 1910, Congress amended the act to extend the completion date to June 25, 1914. 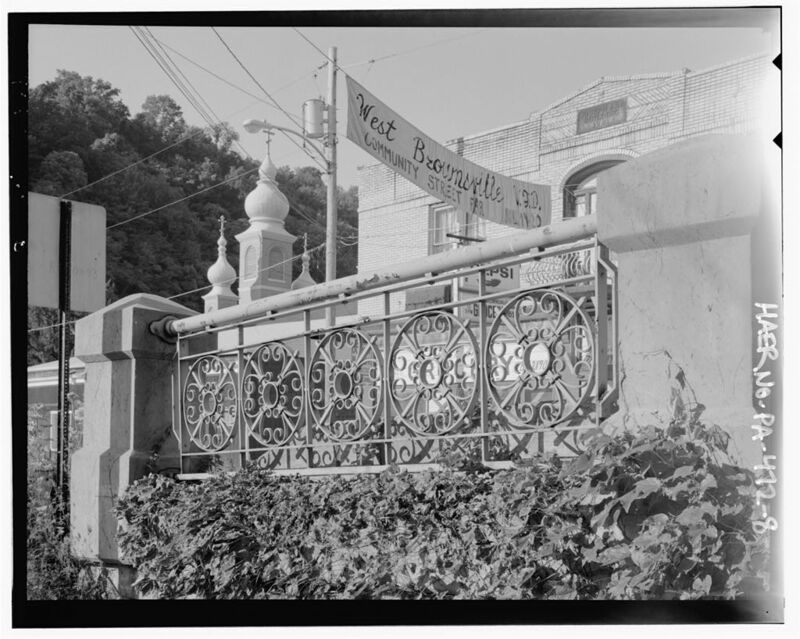 Petitions were passed by citizens of Brownsville and West Brownsville in September 1910, claiming that the high cost of a new bridge prevented it from being built by a private party.2 It asked instead that it be built with public funds provided by the counties of Washington and Fayette. 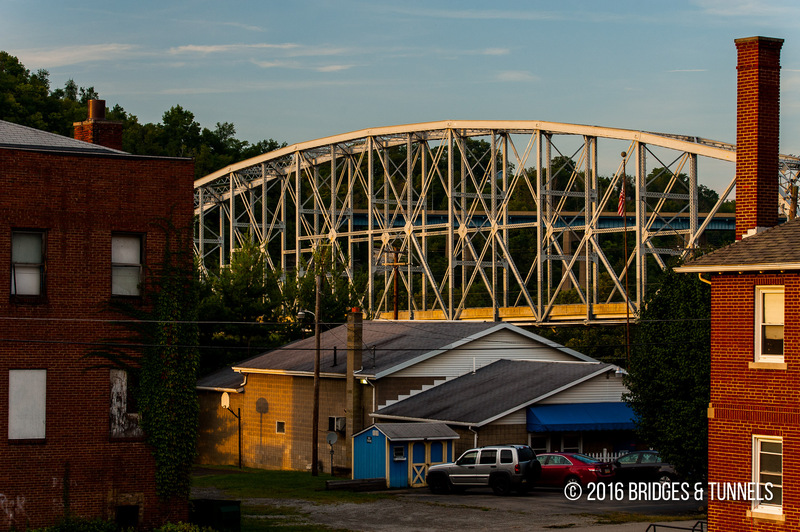 The new bridge, according to the petition, would be 810-feet long. 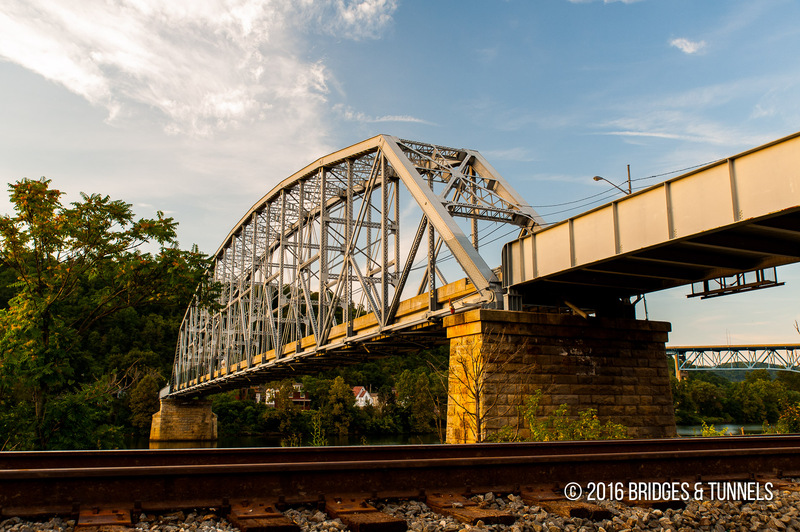 The Monongahela Railway Company attempted to prevent the new bridge from being constructed, asking the court for damage payments.2 The court ruled against the company and ordered that the new bridge be built at once. 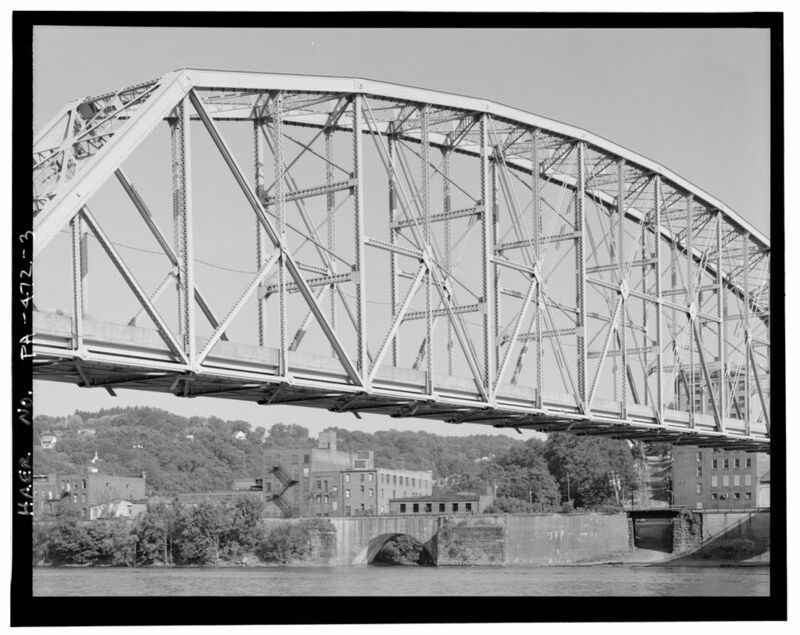 A $70,000 contract was let on July 14, 1913 to the Crossan Construction Company of Philadelphia to build the abutments and piers.2 Another contract, in the amount of $456,903, was let to the Fort Pitt Bridge Company of Canonsburg for the superstructure. The Crossan Construction Company finished their work by early 1914.2 By mid-April, timber for the falsework and 1,700 tons of steel fromJones & Laughlin for the truss had arrived on the site and work began on the superstructure. Construction was essentially complete by early October 1914 and a formal dedication was held. 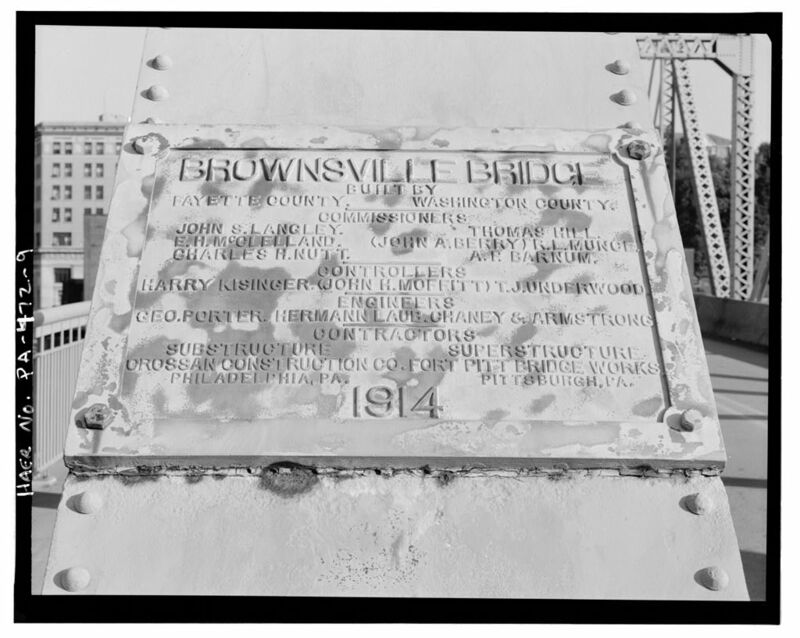 The new Brownsville Bridge was finished at a cost of $250,000 and carried no toll. The streetcar tracks, which were to be part of a loop linking major cities in western Pennsylvania, were never used.2 The tracks were removed in 1934 and the bridge’s roadway was repaved in amesite. 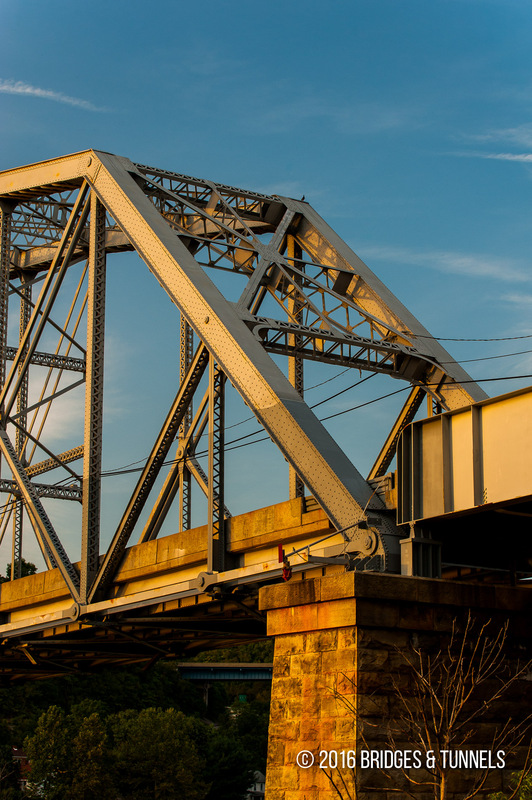 In 1929, the Brownsville Bridge became part of US 40.2 A bypass was completed in 1960 to the north. The roadway deck was replaced with reinforced concrete panels and the superstructure repaired in 1947 and 1948, with further work done in 1966.2 In 1985, an empty barge broke loose from its moorings during a flood and struck a pier causing extensive damage. The bridge was redecked, some girder spans were replaced and the superstructure was repaired. Bureau of Historic Preservation. Pennsylvania Historical & Museum Commission. 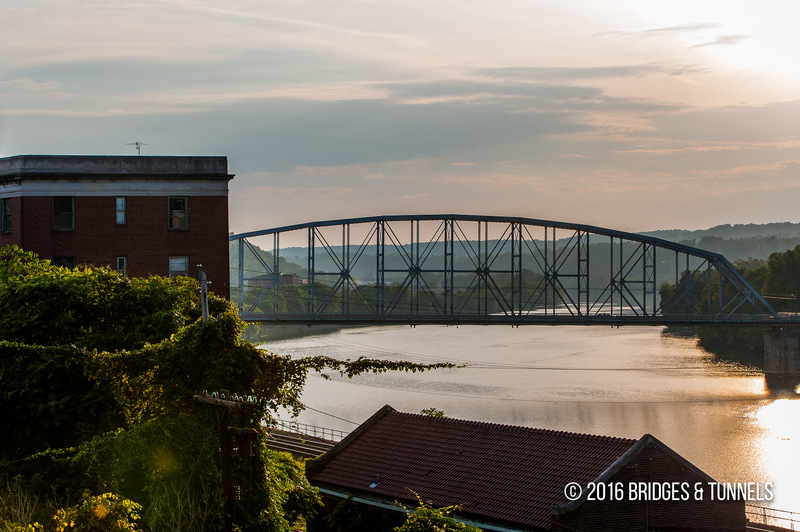 Brownsville Bridge. By D. Piccolomini and M. Francis. Pub. no. T-21. Harrisburg: Bureau for Historic Preservation, 1988. Print. Historic American Engineering Record. National Park Service. 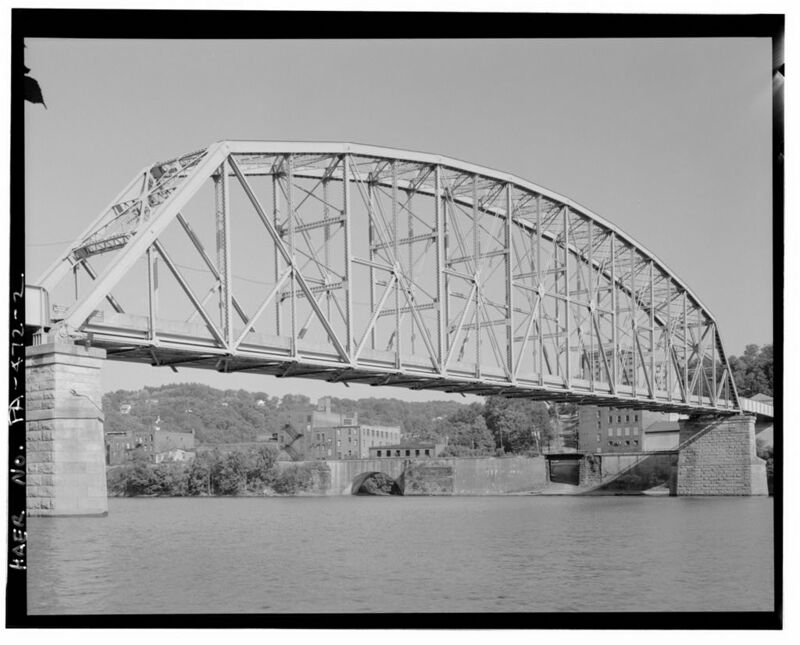 Old Brownsville Bridge. Pub. no. PA-472. Washington, 1968. Print.